Crispy skin and perfectly browned. 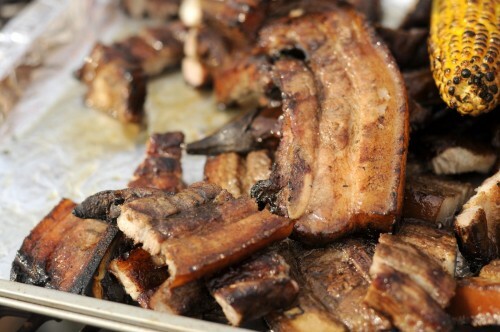 Grilled pork belly is a popular dish served in parties, beachside barbecues, or with liquor in the Philippines. With very few ingredients it is easy to prepare in the US if you have access to pork belly and Filipino soy sauce. This entry was posted in cooking, Filipino Food, Recipes and tagged barbecue, bbq, filipino, liempo, pork on April 18, 2012 by admin. It was Easter and we wanted to feed our dear friends, so we brought over a pot of stew and some vegetables to prepare for dinner. We love feeding friends, especially those who love to eat what we serve, and are always open to some kind of adventure. 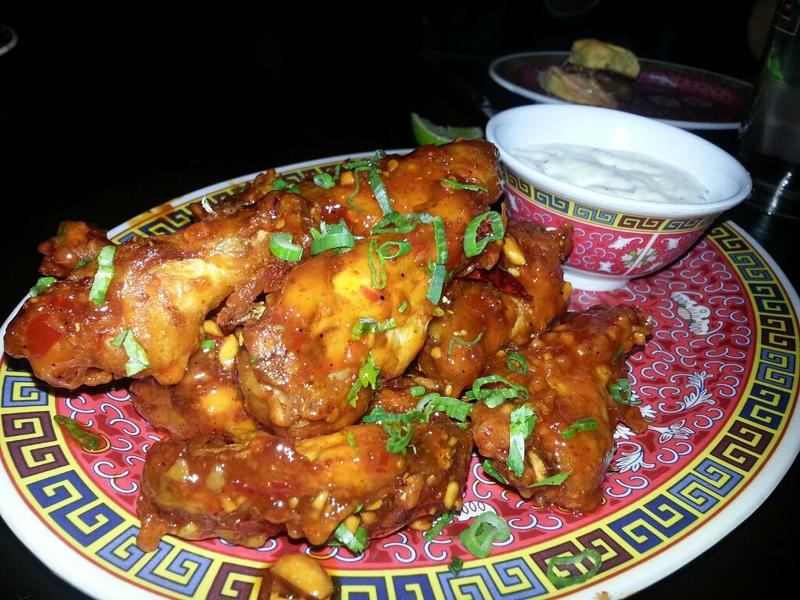 These friends once made us their twist on our own national dish, adobo with coconut milk! After much skepticism we were very much impressed and even entertained the possibility of including it in our arsenal of adobo variations. Click on the captions for the recipes. 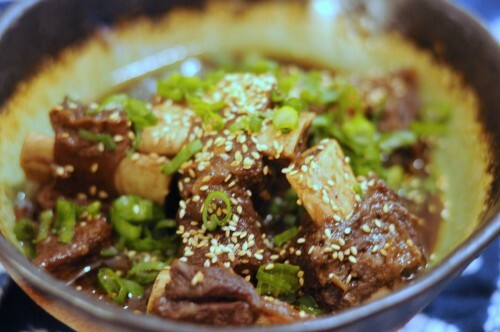 This entry was posted in dinners, meal ideas, Recipes and tagged beef, beef short ribs, filipino, sesame short ribs, sinigang on April 17, 2012 by admin. One of the things I request from friends or relatives visiting from Manila is Connie’s Kitchen Salsa Amaya. It is a bottled blend of herring, olives, mushrooms and herbs soaked in olive oil. I saute some garlic to bring out some flavors and stir in the bottle’s contents to come up with a flavorful sauce. I toss some cooked pasta in and serve it promptly, the aroma unmistakably Filipino but with an Italian twist. This definitely cannot be found in any New York Restaurant menu. Somebody patent it, quick! And if you are a friend who would like to be on my good side, please ship me some Connie’s Kitchen goodies. Other favorites include Kippers in Capers, Herring in Oil, Daing na Bangus, and Tinapate. This entry was posted in cooking, Filipino Food, homemade, italy, Recipes and tagged filipino, pasta, salsa amaya, seafood on March 1, 2012 by admin. Collard greens are readily available in any grocery store, and may be a more accessible substitute for more familiar vegetables such as bokchoy and string beans. It’s very versatile because of its ease in preparation, neutral taste and texture, so it can easily be used for many Filipino vegetable dishes. Remove the central vein of each collard leaf using a knife. Cut it up into strips. Cut further into smaller strips and squares. Start with some onions and oil. Add collards and mix around. Season with fish sauce. Cover and let simmer. Collards take a while to achieve the desired consistency, about 30-45 minutes on low-medium heat. Voila. Was that so hard? 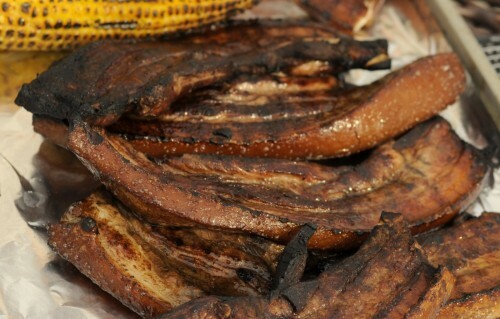 This is a great side dish for adobo, pata tim, bistek, or fish. 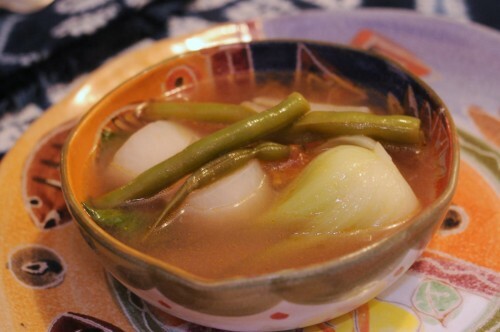 This entry was posted in homemade, Recipes, vegetable and tagged filipino, vegetable on January 11, 2012 by admin.